Classes may be cancelled without notice. Call the office to ensure a future class will be held!! The Georgia DUI process has two components: The Assessment and the 20-hour Intervention Course. The Assessment consists of a questionnaire, The NEEDS Assessment, which is designed to look at patterns of behavior in a number of critical areas, that will provide a concise, but comprehensive, profile of an individual’s functioning. It normally takes 30 - 45 minutes to complete the 130 questions on this assessment. 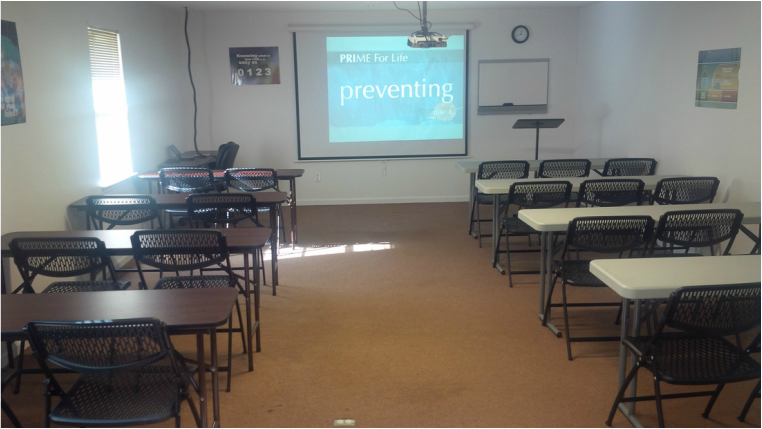 The 20-hour Intervention Course is an interactive classroom based program where the Prime for Life® curriculum is delivered. "Prime For Life® is an evidence-based alcohol and drug program designed to gently but powerfully challenge common beliefs and attitudes that directly contribute to high-risk alcohol and drug use." You may not be late for any parts of this course. The Cost of DUI School is $360.00: The Assessment $100.00 and 20-hour Intervention Course: $255.00 (Course $235.00 and Book $25.00). You may pay for the assessment separate from the intervention course; however, Georgia law requires all fees to be paid in full before starting class. Please note that this cost is nonnegotiable and set by DDS. Additionally, all fees must be paid by 4:00 pm on the day of the first session. If your fees are paid after 4:00 pm, you will be assigned to the next DUI class. If you wish to attend DUI School, you should call the office Monday – Friday between 10 AM and 5 PM to schedule your intake appointment. Please call us at: 706-678-5667 to schedule this appointment. However, walk-ins are welcomed. You will take the NEEDS Assessment. Session 5 on Sunday from 2 PM – 6 PM Please eat your meal before or after either session. When you select "Buy Now" and are redirected to PayPal, please type the student's name where it states "Enter description". Please send us an email at fadcounseling@gmail.com if you use the payment option below. Thanks!